One of the things I really enjoy about my line of work is the variety I get to experience, and the last two days have been a great reminder of how fortunate I am. The Great Escape offers groups a variety of experiences, from structured team building exercises, to paint balling and allowing time for exploration and building fires. 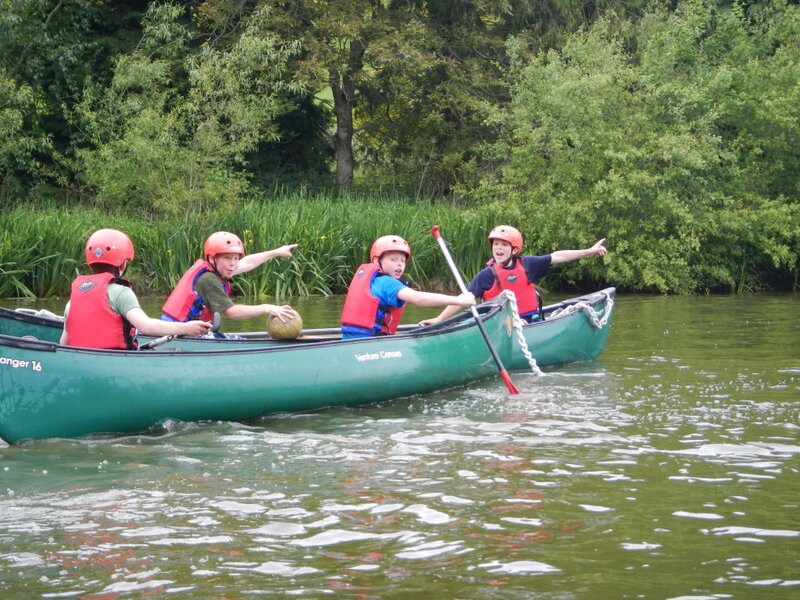 Moor Park School brought about 35 of their pupils for the last 2 days to enjoy a range of activities. After brief introductions, they were given the chance to spend some time hunting for fire wood – an ideal way to allow them to explore their new surroundings and be productive at the same time. This was then followed by a round robin of 20 minute challenges to get the 3 groups working well as a team (some better than other I hasten to add!). The rest of the day was spent on Archery, Canoeing and the V Walk challenge. For my part, I spent most of the day down on the lake with the canoes getting wet. The last time I’d run canoe sessions here, the wind had caused havoc, but conditions were perfect, allowing us the freedom to use the session time as we pleased. In general we played a number of ball games interspersed with races and balance challenges. At the end of the day, everyone seemed to have loads of fun and build up confidence in the water – ideal. By the time dinner was sorted, it only left enough time for a few games before it was time to wind down and head to the tents for the night, ready for another busy day. Today revolved around 3 main activities again. 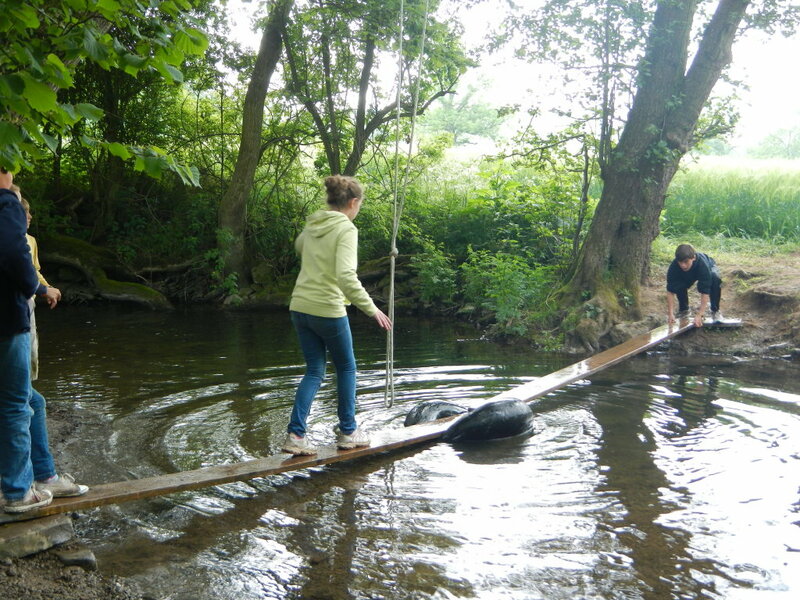 The Tyre Swing and the Spiders Web are both based on the main site, but The Great Escape Challenge had the groups heading out across the countryside. The Great Escape Challenge seems to grow each year, taking the groups further and involving more en route tasks as they race against the clock to reach the end successfully. Although I’d love to spill the beans about what’s involved, I’d probably land myself in trouble, so you’d best do it yourself to find out. As is often the case on these sorts of events, the pupils were fantastic. Full of live and enthusiasm and an eagerness to explore and enjoy the great outdoors. Thanks for having me along to join in the fun.